It’s like there’s a tariff on pant material and hat brims. 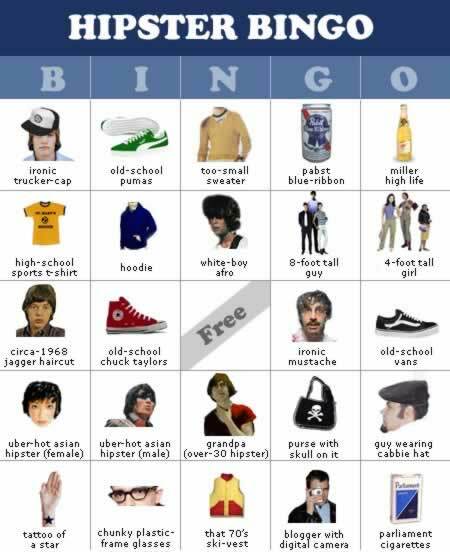 Here’s a great Hipster Bingo card as well. Oh how I do concur.